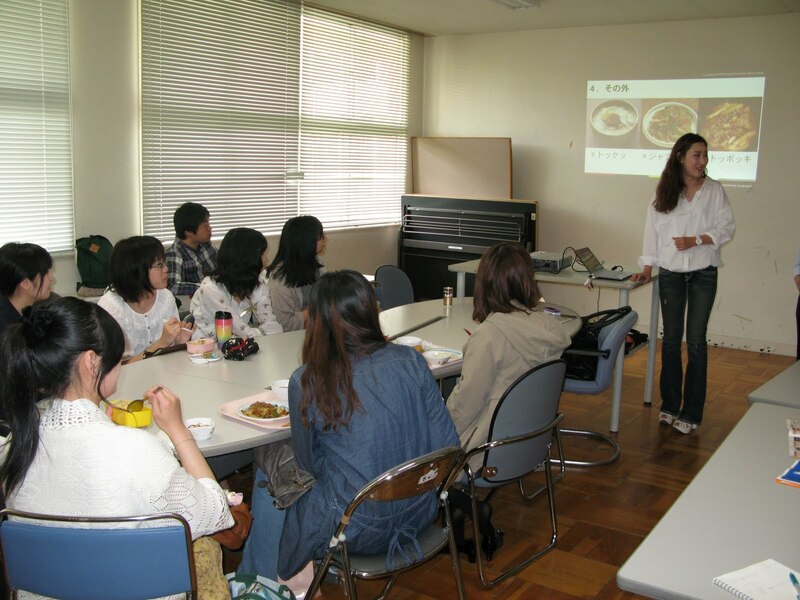 Kim Sein, An exchange student from Daegu University who is enrolled at the Faculty of Economics at Kagawa University for one year, made a presentation on Korea, focusing on several well-known Korean dishes like bibimpa, kimchi, and dobokki. She also introduced the traditional architecture of Korean buildings, and clothes. 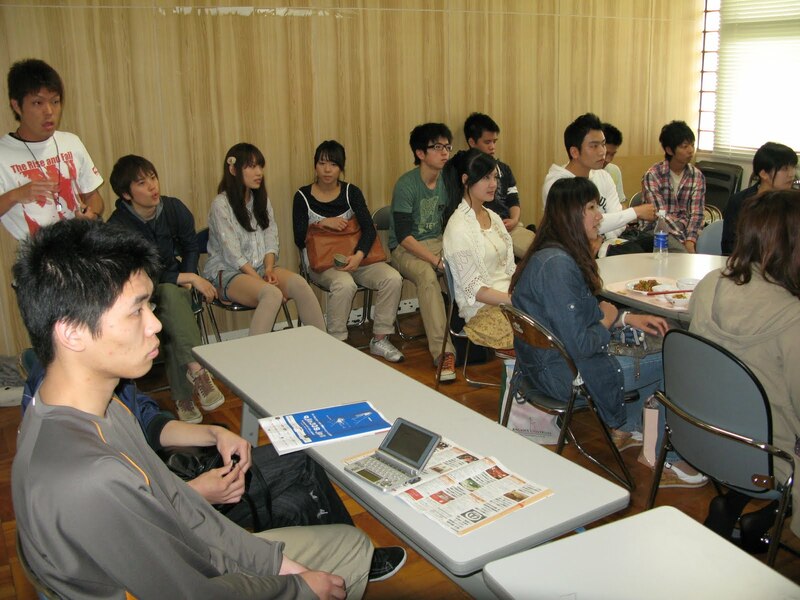 The third area covered in today's talk was on the differences between Korea and Japan. The moderator today was Hideki Hiraoka from the Faculty of Agriculture. Questions from the floor included the recipe on how to cook the Korean dishes, and if the traditional heating system is still being used in modern Korean homes in the winter time. 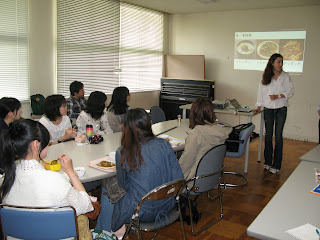 There were 24 participants today, including 8 international students.